While car theft has been declining in recent years, it’s important to stay alert and heed these simple words of advice. Is there anything more bothersome than someone stealing your belongings? Hardly! 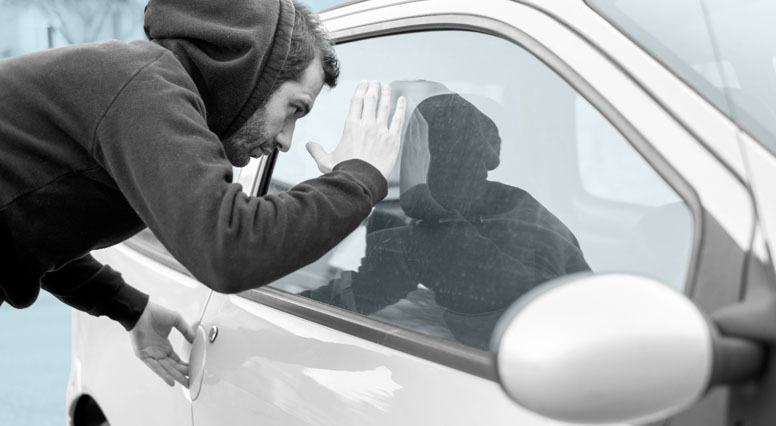 Read our tips to help you minimize the risk of getting your vehicle stolen. Always park in a busy, visible, well-lit spot. Don’t leave any valuables in plain sight inside your vehicle (GPS, smartphone, laptop, etc.). Put your personal belongings in the trunk. Lock the doors and roll up the windows. Never leave your keys inside your vehicle. Don’t leave your vehicle unattended with the engine running. Have a tracking system or an antitheft system installed. You can also have certain parts of your vehicle security-marked, such as the wheels, lights, engine and windshield. This can help lower your car insurance premium, too. Like many people, you probably leave your proof of insurance, driver’s licence and vehicle registration inside your vehicle. But did you know that makes life easier for thieves? If a thief is pulled over by the police, they can just tell the officer you loaned them your vehicle. And if you haven’t yet reported the theft, they could get away scot-free. Having your vehicle stolen is dealt with through your car insurance. However, if things are stolen out of your car, such as your laptop or your luggage, it’s your home insurancethat would cover the loss.